When your boiler breaks down, call the heating repair experts at Bluewater Plumbing, Heating, and Air Conditioning. We are the local specialists for boiler repairs in Queens, NY. Our trained staff has several years of combined and certified boiler repair experience. We can tackle even the most complex boiler systems. Our boiler maintenance and repair crew will swiftly remedy all boiler problems from minor periphery repairs to emergency generator tube bank damages – making us one of the best boiler repair companies in the Queen area. Boilers are essential to the day to day operations of your home or business. Our ability to quickly diagnose and fix your boiler is unparalleled. We have experienced Queens heating contractors, state-certified installers and trained boiler repair staff to handle any boiler-related issue. Our team is experienced for any emergency and is well-trained to operate under pressure. 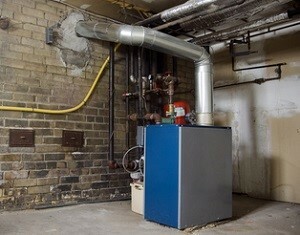 The efficiency of your home or office boiler is measured in what is known as Annual Fuel Utilization Efficiency, a.k.a. AFUE. The higher the AFUE rating is the greater the efficiency of the boiler. As your boiler ages and begins accumulating technical difficulties, the efficiency of the unit will lessen. With routine maintenance, you can extend the life of your boiler and keep it running at top performance. Major heating repairs may also be necessary to keep it running at peak performance. Whether you are installing a brand new unit or replacing an old system, it's important to hire a professional Queens plumber or heating contractor that can help you navigate through every step of the process. The key is finding the right model for your home or business that can provide cool air in every room and while saving energy. Let our experienced professionals guide you and give you solutions that will make it as simple and easy as possible. Your boiler system is one of your greatest investments. Considering that most equipment will last one to two decades, then it's vital that you invest in the highest quality system on the market. Sure, you may save money on the front end with cheaper boilers, but you'll end spending hundreds or even thousands of dollars more over the long run in higher energy bills and ongoing repairs. 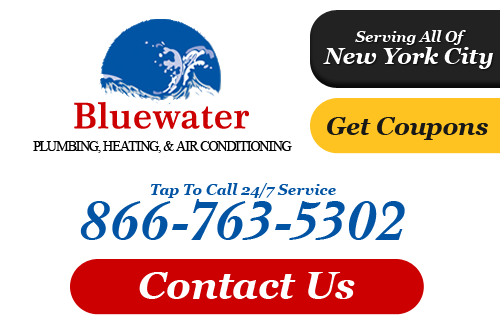 For the finest quality gas boilers and heating services in Queens, call Bluewater Plumbing, Heating and Air Conditioning today. If you need boiler repairs in Queens or the surrounding areas, please call 866-763-5302 or complete our online request form.